ROCHESTER, New York, November 4th, 2015 – Visaris Americas, an innovative provider of digital imaging technology and PACS workflow solutions for the medical diagnostics market is pleased to announce the Company will exhibit its comprehensive digital X-ray imaging portfolio at the Radiological Society of North America (RSNA®) North Building – Booth 7761. The RSNA is an annual conference that hosts approximately 55,000 international radiologists, medical physicists, and professionals in the medical field. 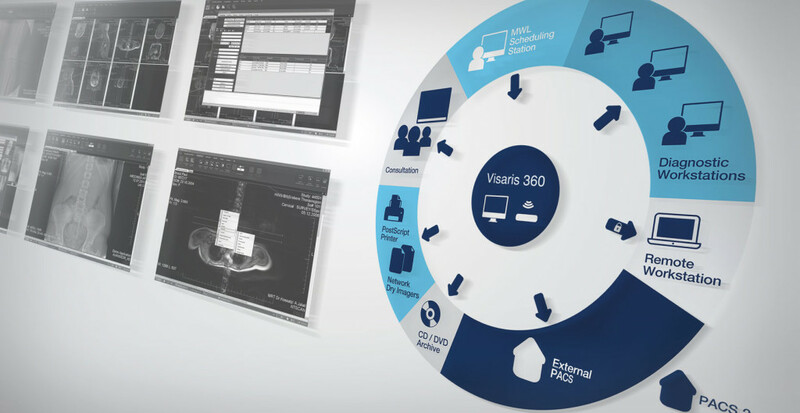 “The RSNA is a pivotal venue for Visaris Americas to launch our Vision Family of fully integrated DR systems. This portfolio includes a scalable PACS/RIS and a variety of carefully chosen flat panel platforms which seamlessly integrate with our Avanse acquisition software platform,” stated Rick Sbordone, VP of sales and business development for Visaris Americas. “As we share our launch strategy, there continues to be a great deal of enthusiasm from potential resellers and end-users alike. It’s very fulfilling to see how our strategy is resonating, particularly with the élite regional X-ray resellers that drive this market. Having access to offer their customers premium product exclusively within their regions, has created a great deal of interest. Many are calling Visaris Americas a disruptive, value driven alternative to the multi-billion dollar companies whose product is often prohibitive to many facilities that are transitioning from film, CR or early DR technologies”, Sbordone continued. “The value proposition we are offering is attractive on numerous levels. Imaging facilities want to work with providers that have innovative turnkey solutions that provide tangible benefits to workflow, and include a comprehensive service and support package. We are working with select channel partners and focused on building additional relationships with resellers that are interested in exploring distribution opportunities in the Americas and Worldwide”. The Company will demonstrate the innovative capabilities of its robust portfolio of positioning systems, portable X-ray solutions, and feature-rich PACS/RIS workflow platforms, which have all been designed to meet the needs of a multi-tiered market. Visaris Americas provides truly digital imaging solutions that incorporate key components to transition facilities from film, computed radiography (CR) and aging digital detectors. The Company’s mission is to deliver the highest quality, and the highest value digital imaging technology, PACS/RIS workflow solutions, and responsive technical support to meet the diverse needs of today’s demanding medical environments. Visaris Americas is a collaboration between First Source and Europe-based, Visaris d.o.o.. Visaris has invested heavily in years of research and development on its innovative product design and workflow solutions and established extensive channels in the European market. Visaris Americas is a First Source Company. Established in 1999, First Source is recognized for its innovative design and manufacturing capabilities, extensive training programs, and responsive technical support for its medical imaging customers in the U.S. market.